Solid Green director Warren Gray looks at the business case of ditching batteries and feed-in-tariffs altogether in favour of a less conventional approach to profiting from solar power. With solar PV, bigger installations always yield better economies of scale. The lower Rand-per-energy costs of bigger systems mean that a property owner investing in solar will always want to maximise panel roof coverage. To add to this, solar installers are often incentivised to oversize installations to ensure that energy needs are met. Their remuneration is often also linked to installed capacity, increasing the likelihood of surplus power production. As feed-in-tariffs exist in a minority of locations in South Africa, this also means that there will often be times when a system produces more energy than a building uses. Whether it’s an office generating energy on a weekend which cannot be used, or a residential building generating power that is lost when no one is home at midday, the problem of forfeited energy is widespread. Even where feed-in-tariffs exist, they only pay a fraction of the grid price of energy to the private producer. While batteries represent a solution to this, they require high capital cost and essentially let you offset excess energy at what you would have paid to buy it from the grid. Satoshi Nakamoto* invented Bitcoin in 2011. A new kind of internet money, Bitcoin does not rely on central banks or governments to maintain trust in the system. 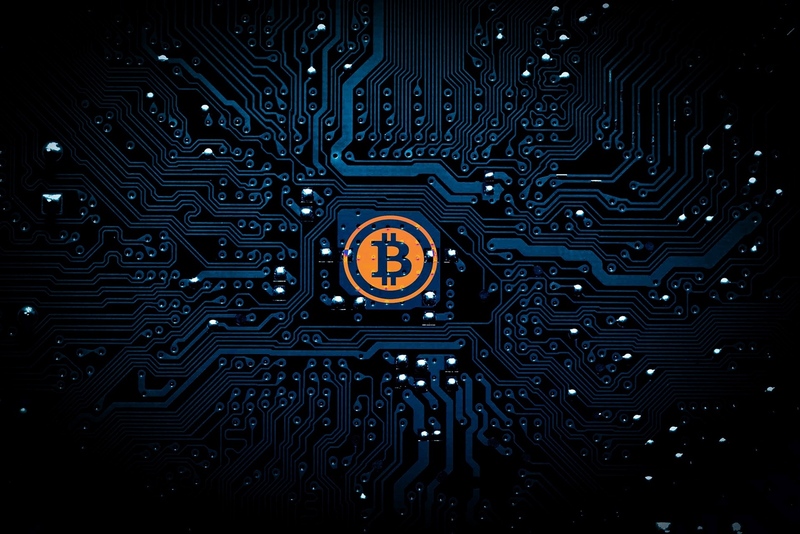 Instead, proof of work uses computational power to verify transactions in a public ledger in a process called mining – and miners are rewarded with new Bitcoin minted through this process. At its most basic, energy is used to run computers which then produce Bitcoin as a reward. 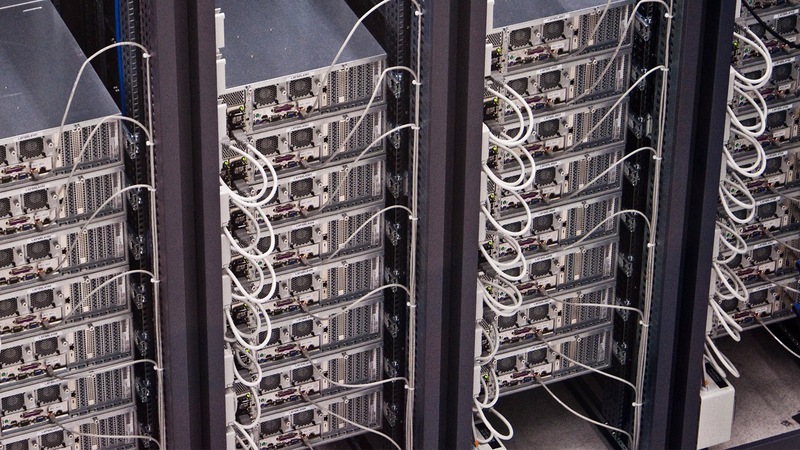 A virtual arms race emerged from this system, whereby more and more powerful hardware was required to mine Bitcoin. In the early days – circa 2012 – multiple Bitcoins could be mined per day using a laptop. The price of Bitcoin at the time of writing is R16 500. The global Bitcoin mining network currently uses more energy than the whole of Denmark, drawing some sustainability concerns. It is apparent, however, that the incumbent banking system is far less energy efficient by requiring offices and travel. As a result of this immense competition, it is no longer economical to mine Bitcoin using conventional hardware. Bitcoin is not the only option, however. Hundreds of other cryptocurrencies born of the same recipe exist, and are often called “altcoins”. Like the early days of Bitcoin, they are still economical to mine with desktop computers. 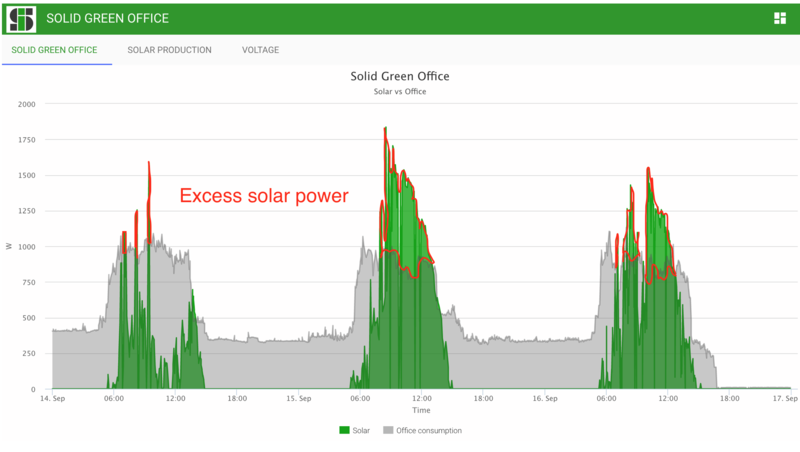 At Solid Green, we ran an experiment using Solid Insight to monitor energy usage. For 1 kWh of energy used by computers mining altcoins, you get about R1.30 as a mining reward. This is almost exactly the purchase price of the energy. As such, mining off grid power yields no profit… But what if you have excess solar power that was to be wasted because you could not sell it back to the grid? Excess solar power would normally be fed back to the grid for free. Using it to mine cryptocurrency yields a surprisingly high profit. Mining that uses existing idle computer hardware with excess solar power is commensurate with selling power back to the grid at the same price that it costs to buy power. This is around three to four times the fee you will get from the grid if you could sell your excess power. As solar PV is so much cheaper than grid power, this results in a profitable proposition – far more economical than installing batteries or relying on a feed-in-tariff. The trick lies in only mining cryptocurrency when excess solar power is produced. We achieved this relatively simply with Solid Insight. Monitoring our solar production vs consumption is ongoing, so we only needed to run simple software that would use our computers to mine when our solar production was greater than office consumption. This way, we were essentially able to produce currency at grid parity with our excess solar power. While this may sound trivial, the implications are very important. The payback of a solar installation can be reduced by a significant amount, making it worthwhile for more of the market sooner, bringing us closer to energy independence and a sustainable energy future. *The identity of Satoshi Nakamoto is one of the mysteries of Bitcoin. He/she/it may be a person, or a group of people.